By the end of 2016, the first TEDOM CHP unit of 500 kW was commissioned in Germany. This is a Cento L500 biogas CHP unit installed onthe Schmidt family farm in the local area of Geel, Brodersby, Schleswig-Holstein. 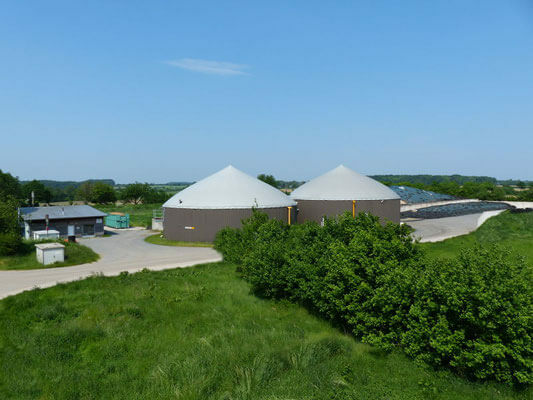 In 2016, the Schmidt family decided to expand its biogas plant by another CHP unit. Based on the offer of complete delivery, including gas treatment equipment, they opted for the TEDOM Cento L500, which was supplied and installed by our partner company CoSa ReEnefgieanlagen GmbH. Expansion of the biogas station by the new unit has lasted only 4 weeks thanks to compact Cento series plug and play system.